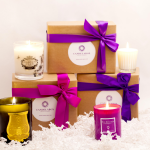 You are here: Home / Fashion + Beauty / Are you brave enough for a Personal Barber shaving box? I used to hate shaving. I never had much need for it, and I never knew what I was doing with a razor any way. Shave inwards? Shave outwards? Shave it all aboutwards? But after becoming a dad my face finally bothered growing facial hair. And, oddly, this spurt of growth has coincided with me wanting to hide away from the other household members for longer periods. All parents deserve quiet time, and what better place than a bathroom – generally the only room in the house with a lock? Not even the cat can bother me in there. 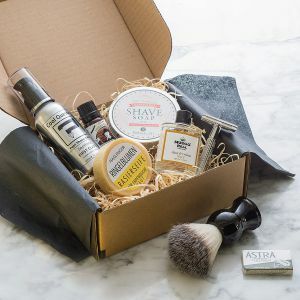 So when The Personal Barber, a subscription box based around the traditional wet shave with classic safety razor and shaving brush, offered me a box to try, I took it as a sign. Besides, the opportunity to use a proper razor, with proper blades and proper soap to get in a proper lather, was properly appealing. 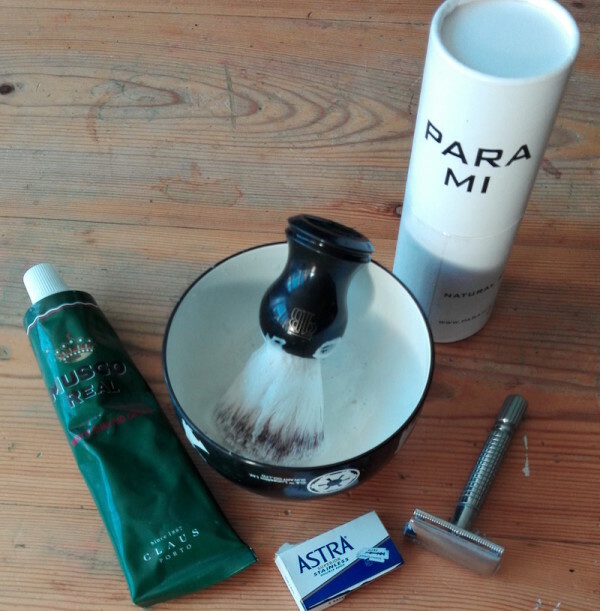 So I had the brush, some shaving oil from brand new British company, Para Mi; the old-world Musgo Real Classic shaving cream – in a deliciously traditional metal toothpaste tube – the new-to-the-market Rockwell Razor and ever-faithful Astra blades. I applied the oil to my shower-warm face, frothed the cream up in a bowl and slathered it on. And then I set about shaving. The double-sided blade was a joy. Although the mysterious whispers of friends in my adolescence had told me never to shave in different directions, I find it a necessity. 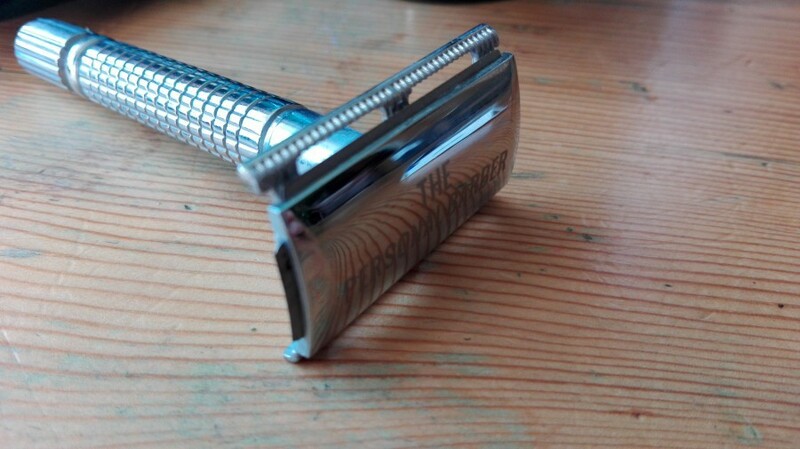 The joy of this razor was that I could shave both ways without turning it. It was like using a very sharp paintbrush, and being an artist, I was on board for that. Let’s be open, here. I was a bit too tentative with the razor. I spent a good few minutes avoiding cutting myself, and therein lies the (face) rub. To use this open blade safely and confidently will take practice. I’ve only ever used Gillette safety blades, so that’s all I’m used to. But with The Personal Barber there’s only one (double-sided) blade, doing as good a job as the five on the Gillette mega-swords. And to top that, there’s absolutely no plastic. Gillette and Wilkinson Sword eat your heart out with your throwaway plastic. Proper shaving is a little bit geeky, a little bit trendy, and it offers up a brilliant excuse for your father to get away from the world for ten minutes. 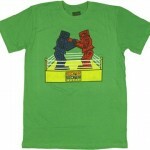 And yes, you guessed it, Father’s day is coming up very soon. A subscription to Personal Barber is a great idea for a gift. If you give this razor the time to get confident enough, you’ll not only be doing the planet a favour but you’ll also become a shaving samurai. I think that’s something all of us should be aspiring to. Pricing: £24.95 per month on a rolling basis down to £17.95 per month for a pre-paid 12-month subscription. Offering monthly, 3-, 6- and 12-month subscriptions. 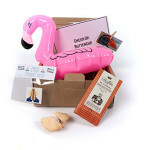 You can also buy a one-off box. The razor comes in the first box. Each month, the box contains completely new soaps, blades and extra pre- and post-shave products from brands for you to try out such as oils, balms, colognes, alums and more. UPDATE! The Personal Barber has given us a special discount code for Dork readers. 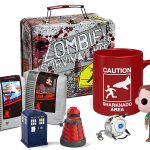 Use DORK20 at checkout for 20% off your first box. It’s valid until 1 June 2016.